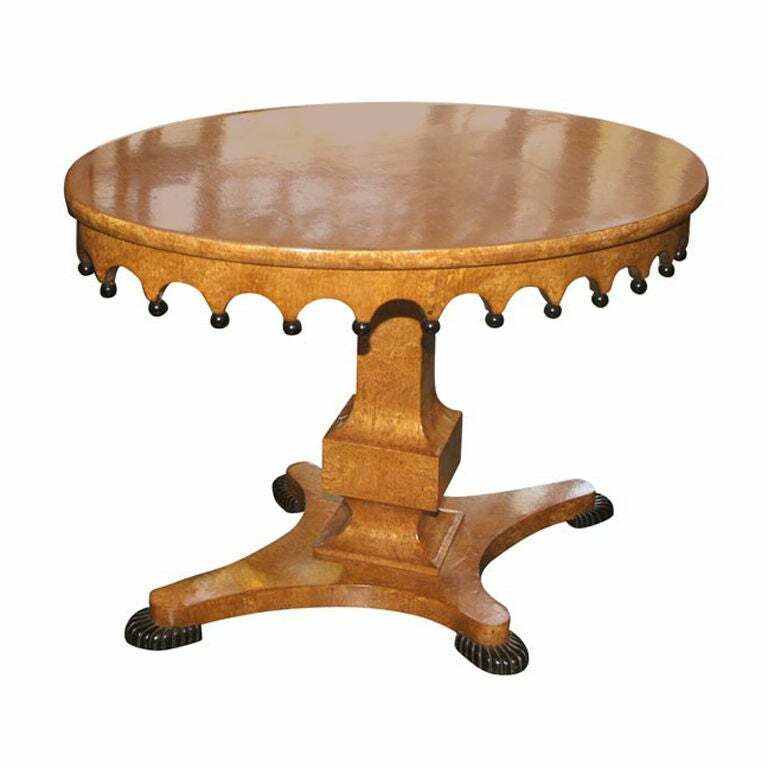 Highly figural honey colored burl wood Biedermeier style elliptical-shaped center table with ebonized ribbed feet and decorative detail. 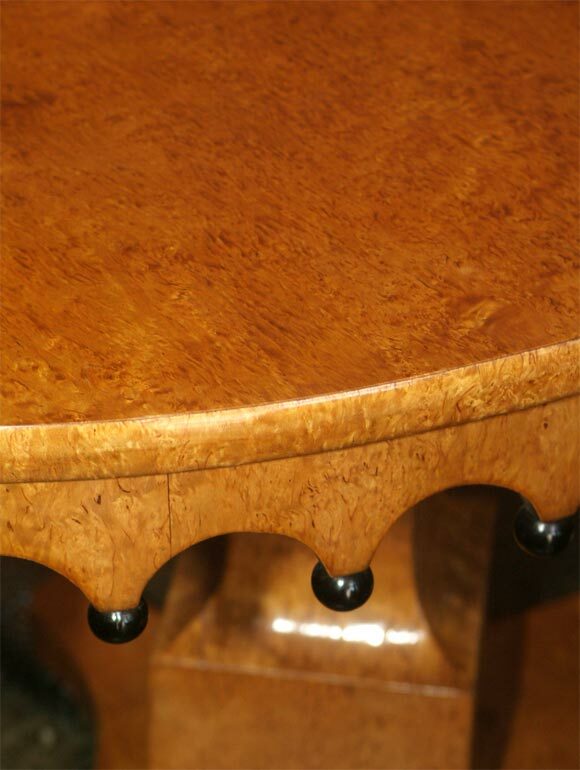 We believe this to be Amboyna wood (an exotic wood from Southeast Asia). Russia, 19th century. 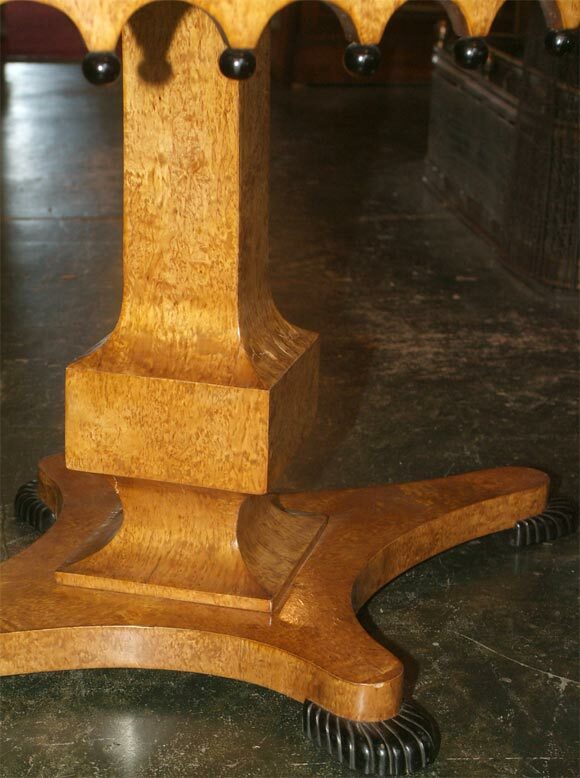 Excellent, some stress cracks in the veneers on the pedestal. 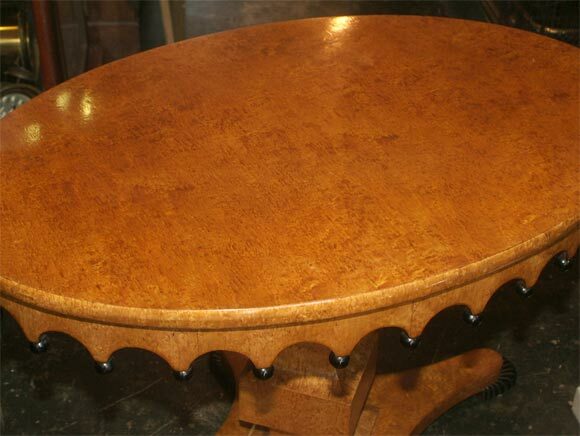 Elegant French Verni Martin Style oval shape table in satinwood with hand painted decoration. France, late 19th century. 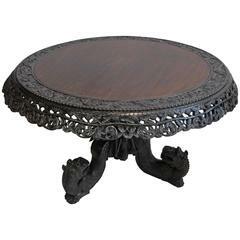 A very handsome period Biedermeier center table with pedestal having an ebonized maple detail at base. 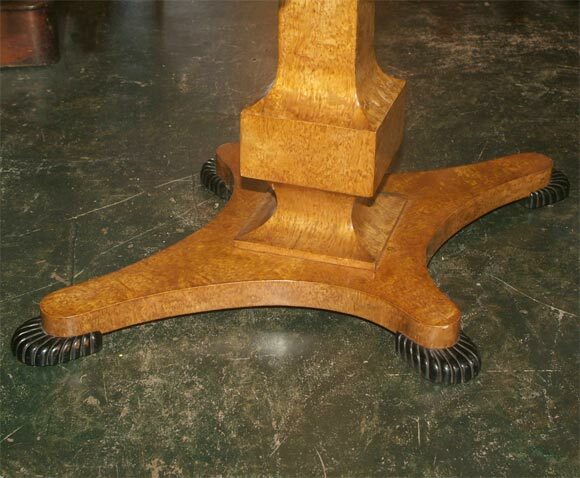 This is a graciously scaled and can be an end, center or side table. 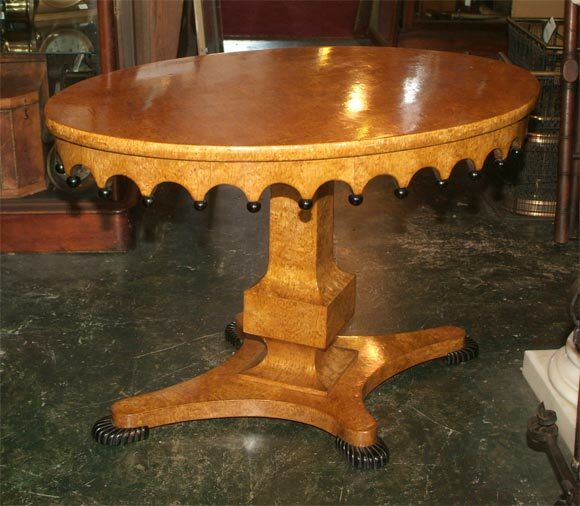 Austrian Biedermeier burl ash and inlaid round table with Gothic design apron and spool supports, circa 1840. 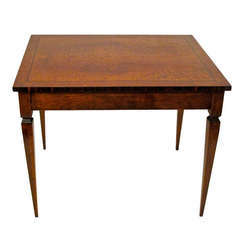 Biedermeier center hall table in walnut and walnut root head with black veneered trim and a tripod base, circa 1835. 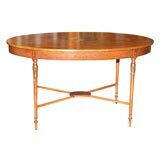 Austrian Biedermeier round ebonized center table with inlaid marble top and drawer supported by 4 columns ending in a platform base with gold stenciled decoration, circa 1820. 1980s Postmodern design center table in the style of Memphis. 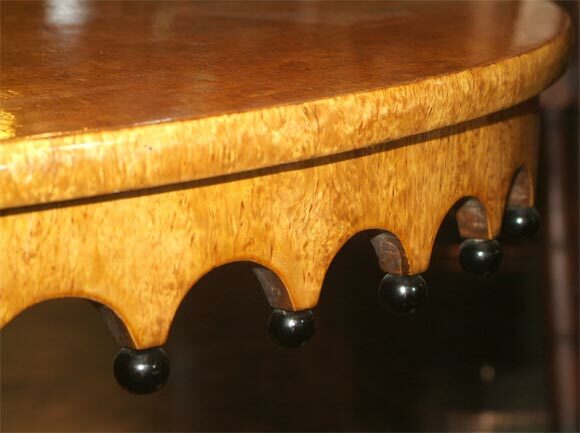 Beautiful Biedermeier center table. 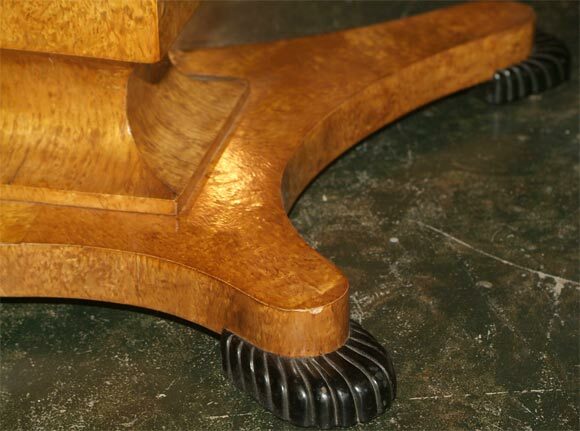 The table is made of walnut veneer on a pinewood body. 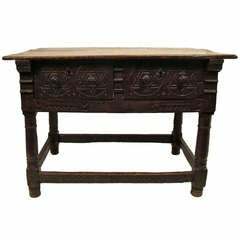 The table is in a very good restored condition.